The meta-rank (Beta) combines the top rankings from the most respected publishers into a single grade. Scripps College received a A.
Washington Monthly's ranking of 146 out of 224 of Affordable Elite Colleges - Overall Rank was a major contributor to this grade. "Scripps College is the women's college in the Claremont Colleges cluster (Claremont McKenna, Harvey Mudd, Pitzer, Pomona, and Scripps). Overall, 2500 courses are available to students here, and nearly all classes are "very small." Professors are accessible and receive high ratings for their teaching ability." Describe the type of student who should not attend Scripps College and explain why. Describe the type of student who should attend Scripps College. Why? What is a typical Scripps College student like? Describe the type of person that should attend Scripps College. What are the top 3 reasons someone should attend Scripps College? Every day is new, challenging, and eye-opening. You'll meet incredible, smart, thoughtful people from all over the world. Work/life balance is great! There are always things happening on campus. The sunshine isn't bad either! What was a typical Scripps College student like in high school? Describe the type of person that should attend Scripps College. Popular and well-regarded majors at Scripps include psychology, English, studio art, politics, and biology. Students are quick to point out that they chose Scripps because of the great education and numerous opportunities. Serious candidates should carve out a unique personal statement while giving equal attention to each facet of their application. Scripps College is frequently described as one of America's most beautiful college campuses. The successful placement of buildings in a lush garden landscape and the intimate scale of this academic environment have been the setting for Ellen Browning Scripps' "experiment in education" for more than 75 years. In general, the campus plan prepared by Gordon Kaufmann in 1926 has been carefully preserved, with major vistas still linking the central areas and the overall planting schemes devised by Huntsman-Trout still followed. Some newer areas of campus, especially the buildings west of Columbia Avenue acquired in the 1980s, have diverged from the Mediterranean style of architecture popular in Southern California during the 1920-30s, but the newest residence hall on campus--Gabrielle Jungels-Winkler Hall-- completed in 2000, and the Malott Commons, renovated in 2000, have been designed to be in harmony with the distinctive look of the original campus. This guide chronicles the development of the Scripps College campus over the last 75 years, quoting from the original 1944 Bulletin (in Scripps green) and updating the information about the College's buildings, grounds, and collections. What are the top 3 things that students do for fun at Scripps College? Go swimming at the Sallie Tiernan Field House pool. Chat over a cup of coffee from The Motley, our entirely student-run feminist coffee shop. What's it like going to an all girls school, specifically Scripps? 12% of students received Pell Grants, which are provided by the U.S. government to students from middle and lower income families. It gives you an idea of a school’s socio-economic diversity. Campus housing is available for undergraduates and is mandatory for freshman. Freshman allowed to have car. No pets. 95% of students live on-campus. 99% of freshman live on-campus. A program that focuses on the history, sociology, politics, culture, and economics of the North American peoples descended from the African diaspora; focusing on the United States, Canada, and the Caribbean, but also including reference to Latin American elements of the diaspora. Teach courses pertaining to the culture and development of an area, an ethnic group, or any other group, such as Latin American studies, women's studies, or urban affairs. Includes both teachers primarily engaged in teaching and those who do a combination of teaching and research. A program that focuses on the history, society, politics, culture, and economics of the United States and its Pre-Columbian and colonial predecessors, and including the flow of immigrants from other societies. A program that focuses on the study of the historical development of art as social and intellectual phenomenon, the analysis of works of art, and art conservation. Includes instruction in the theory of art, art history research methods, connoisseurship, the preservation and conservation of works of art, and the study of specific periods, cultures, styles, and themes. Teach courses in drama, music, and the arts including fine and applied art, such as painting and sculpture, or design and crafts. Includes both teachers primarily engaged in teaching and those who do a combination of teaching and research. Administer collections, such as artwork, collectibles, historic items, or scientific specimens of museums or other institutions. May conduct instructional, research, or public service activities of institution. Restore, maintain, or prepare objects in museum collections for storage, research, or exhibit. May work with specimens such as fossils, skeletal parts, or botanicals; or artifacts, textiles, or art. May identify and record objects or install and arrange them in exhibits. Includes book or document conservators. A program that focuses on the history, society, politics, culture, and economics of one or more of the peoples of the Asian Continent, including the study of the Asian diasporas overseas. A program that focuses on the history, sociology, politics, culture, and economics of Asian population groups who have immigrated to the United States and Canada, or sought refugee asylum, from the colonial period to the present, and including Chinese-Americans, Japanese-Americans, Korean-Americans, Vietnamese-Americans, Cambodian-Americans, and others. A program that focuses on the languages of China and associated dialects and literature. Includes instruction in philology; linguistics; dialects and pidgins; and applications to business, science/technology, and other settings. Teach languages and literature courses in languages other than English. Includes teachers of American Sign Language (ASL). Includes both teachers primarily engaged in teaching and those who do a combination of teaching and research. Interpret oral or sign language, or translate written text from one language into another. Any instructional program in classics and classical languages, literatures, and linguistics not listed above. A general program that prepares individuals to express ideas, feelings, and/or inner visions through the performance of one or more of the dance disciplines, including but not limited to ballet, modern, jazz, ethnic, and folk dance, and that focuses on the study and analysis of dance as a cultural phenomenon. Includes instruction in technique, choreography, Laban notation, dance history and criticism, and dance production. Perform dances. May perform on stage, for on-air broadcasting, or for video recording. Create new dance routines. Rehearse performance of routines. May direct and stage presentations. A program that focuses on the general study of dramatic works and their performance. Includes instruction in major works of dramatic literature, dramatic styles and types, and the principles of organizing and producing full live or filmed productions. Play parts in stage, television, radio, video, motion picture productions, or other settings for entertainment, information, or instruction. Interpret serious or comic role by speech, gesture, and body movement to entertain or inform audience. May dance and sing. Produce or direct stage, television, radio, video, or motion picture productions for entertainment, information, or instruction. Responsible for creative decisions, such as interpretation of script, choice of actors or guests, set design, sound, special effects, and choreography. All entertainers and performers, sports and related workers not listed separately. A general program that focuses on the English language, including its history, structure and related communications skills; and the literature and culture of English-speaking peoples. Teach courses in English language and literature, including linguistics and comparative literature. Includes both teachers primarily engaged in teaching and those who do a combination of teaching and research. Teach students in one or more subjects, such as English, mathematics, or social studies at the secondary level in public or private schools. May be designated according to subject matter specialty. A program that focuses on the history, society, politics, culture, and economics of one or more of the peoples of the European Continent, including the study of European migration patterns and colonial empires. A program that prepares individuals to generally function as creative artists in the visual and plastic media. Includes instruction in the traditional fine arts media (drawing, painting, sculpture, printmaking, CAD/CAM) and/or modern media (ceramics, textiles, intermedia, photography, digital images), theory of art, color theory, composition and perspective, anatomy, the techniques and procedures for maintaining equipment and managing a studio, and art portfolio marketing. Create original artwork using any of a wide variety of media and techniques. All artists and related workers not listed separately. A general program that focuses on one or more modern foreign languages that is not specific as to the name of the language(s) studied; that is otherwise undifferentiated; or that introduces students to language studies at the basic/elementary level. A program that focuses on the history, society, politics, culture, and economics of France, other Francophone countries inside and outside Europe, and the French colonial experience and the associated French minorities around the world. A program that focuses on the history, society, politics, culture, and economics of Germany, the neighboring countries of Austria and Switzerland, the German minorities in neighboring European countries, and the historical areas of German influence across Europe and overseas. A program that focuses on the languages and literatures of the Spanish- and Portuguese-speaking areas of the world, including the Iberian, Latin American, and Lusophone worlds. Includes instruction in Spanish and Portuguese language and linguistics; regional and Latin American dialects; and Spanish, Portuguese, Spanish American, Luso-Brazilian, and Chicano literature. A program that focuses on the history, sociology, politics, culture, and economics of one or more of the Hispanic American immigrant populations within the U.S. and Canada, including Mexican-American Studies, Cuban American Studies, Puerto Rican Studies, and others. A program that focuses on the general study and interpretation of the past, including the gathering, recording, synthesizing and criticizing of evidence and theories about past events. Includes instruction in historiography; historical research methods; studies of specific periods, issues and cultures; and applications to areas such as historic preservation, public policy, and records administration. All managers not listed separately. Research, analyze, record, and interpret the past as recorded in sources, such as government and institutional records, newspapers and other periodicals, photographs, interviews, films, electronic media, and unpublished manuscripts, such as personal diaries and letters. Teach courses in human history and historiography. Includes both teachers primarily engaged in teaching and those who do a combination of teaching and research. A program that focuses on combined studies and research in the humanities subjects as distinguished from the social and physical sciences, emphasizing languages, literatures, art, music, philosophy and religion. All postsecondary teachers not listed separately. A program that focuses on the Italian language and related dialects. Includes instruction in philology; dialects; and applications in business, science/technology, and other settings. A program that focuses on the Japanese language. Includes instruction in philology; Ancient, Medieval, and Modern Japanese; dialects; and applications to business, science/technology, and other settings. A program that focuses on the history, culture, and religion of the Jewish people. Includes instruction in Jewish religious heritage, sacred texts, and law; Jewish philosophy and intellectual history; Jewish life and culture, both in Israel and the Jewish Diaspora; historical Jewish minority cultures such as the Yiddish, Sephardic, and other; anti-Semitism, gentile relations and Shoa; Zionism; and modern developments within Judaism. A program that focuses on the history, society, politics, culture, and economics of one or more of the Hispanic peoples of the North and South American Continents outside Canada and the United States, including the study of the Pre-Columbian period and the flow of immigrants from other societies. A program that focuses on language, language development, and relationships among languages and language groups from a humanistic and/or scientific perspective. Includes instruction in subjects such as psycholinguistics, behavioral linguistics, language acquisition, sociolinguistics, mathematical and computational linguistics, grammatical theory and theoretical linguistics, philosophical linguistics, philology and historical linguistics, comparative linguistics, phonetics, phonemics, dialectology, semantics, functional grammar and linguistics, language typology, lexicography, morphology and syntax, orthography, stylistics, structuralism, rhetoric, and applications to artificial intelligence. A general program that focuses on the introductory study and appreciation of music and the performing arts. Includes instruction in music, dance, and other performing arts media. Play one or more musical instruments or sing. May perform on stage, for on-air broadcasting, or for sound or video recording. A program that focuses on the history, society, politics, culture, and economics of one or more of the peoples of North Africa, Southwestern Asia, Asia Minor, and the Arabian Peninsula, related borderlands and island groups, and including emigrant and immigrant groups. A program that focuses on ideas and their logical structure, including arguments and investigations about abstract and real phenomena. Includes instruction in logic, ethics, aesthetics, epistemology, metaphysics, symbolism, and history of philosophy, and applications to the theoretical foundations and methods of other disciplines. Teach courses in philosophy, religion, and theology. Includes both teachers primarily engaged in teaching and those who do a combination of teaching and research. A program that focuses on the nature of religious belief and specific religious and quasi-religious systems. Includes instruction in phenomenology; the sociology, psychology, philosophy, anthropology, literature and art of religion; mythology; scriptural and textual studies; religious history and politics; and specific studies of particular faith communities and their behavior. A program that focuses on the Russian language. Includes instruction in philology; dialects; literature; and applications to business, science/technology, and other settings. A program that focuses on the Spanish language and related dialects. Includes instruction in philology; Modern Castillan; Latin American and regional Spanish dialects; and applications in business, science/technology, and other settings. A program that focuses on the history, sociology, politics, culture, and economics of women, and the development of modern feminism in relation to the roles played by women in different periods and locations in North America and the world. Programs may focus on literature, philosophy, and the arts as much as on social studies and policy. Examine, analyze, and interpret accounting records to prepare financial statements, give advice, or audit and evaluate statements prepared by others. Install or advise on systems of recording costs or other financial and budgetary data. Examine budget estimates for completeness, accuracy, and conformance with procedures and regulations. Analyze budgeting and accounting reports. Analyze credit data and financial statements of individuals or firms to determine the degree of risk involved in extending credit or lending money. Prepare reports with credit information for use in decision making. Enforce or ensure compliance with laws and regulations governing financial and securities institutions and financial and real estate transactions. May examine, verify, or authenticate records. Determine tax liability or collect taxes from individuals or business firms according to prescribed laws and regulations. Teach courses in business administration and management, such as accounting, finance, human resources, labor and industrial relations, marketing, and operations research. Includes both teachers primarily engaged in teaching and those who do a combination of teaching and research. A program that focuses on the scientific study of the behavior and motivations of individuals functioning in organized groups, and its application to business and industrial settings. Includes instruction in organization theory, industrial and organizational psychology, social psychology, sociology of organizations, reinforcement and incentive theory, employee relations strategies, organizational power and influence, organization stratification and hierarchy, leadership styles, and applications of operations research and other methodologies to organizational analysis. A program that is either a general synthesis of one or more of the biological and physical sciences, or a specialization which draws from the biological and physical sciences. Plan, direct, or coordinate activities in such fields as life sciences, physical sciences, mathematics, statistics, and research and development in these fields. An interdisciplinary program that focuses on understanding the human being from the biological, social science, and humanities perspectives and that addresses contemporary issues related to biology and society, such as global health and disease, environmental policy, bioethics, and biotechnology. All biological scientists not listed separately. Study the origin, development, and behavior of human beings. May study the way of life, language, or physical characteristics of people in various parts of the world. May engage in systematic recovery and examination of material evidence, such as tools or pottery remaining from past human cultures, in order to determine the history, customs, and living habits of earlier civilizations. Teach courses in biological sciences. Includes both teachers primarily engaged in teaching and those who do a combination of teaching and research. All postsecondary social sciences teachers not listed separately. A program that focuses on global and international issues from the perspective of the social sciences, social services, and related fields. Study the origin, development, and operation of political systems. May study topics, such as public opinion, political decision-making, and ideology. May analyze the structure and operation of governments, as well as various political entities. May conduct public opinion surveys, analyze election results, or analyze public documents. Any instructional program in multi/interdisciplinary studies not listed above. A program that focuses on the contemporary social and public policy ramifications of science and technology, the interrelationship of science and engineering with the public policy process, and the social and ethical dimensions of scientific and technological enterprises. A general program that focuses on law and legal issues from the perspective of the social sciences and humanities. Teach courses in law. Includes both teachers primarily engaged in teaching and those who do a combination of teaching and research. A program that focuses on the systematic analysis of public policy issues and decision processes. Includes instruction in the role of economic and political factors in public decision-making and policy formulation, microeconomic analysis of policy issues, resource allocation and decision modeling, cost/benefit analysis, statistical methods, and applications to specific public policy topics. Develop, introduce or enact laws and statutes at the local, tribal, State, or Federal level. Includes only workers in elected positions. Teach courses in political science, international affairs, and international relations. Includes both teachers primarily engaged in teaching and those who do a combination of teaching and research. A program that focuses on the scientific study of the chemistry of living systems, their fundamental chemical substances and reactions, and their chemical pathways and information transfer systems, with particular reference to carbohydrates, proteins, lipids, and nucleic acids. Includes instruction in bio-organic chemistry, protein chemistry, bioanalytical chemistry, bioseparations, regulatory biochemistry, enzymology, hormonal chemistry, calorimetry, and research methods and equipment operation. Study the chemical composition or physical principles of living cells and organisms, their electrical and mechanical energy, and related phenomena. May conduct research to further understanding of the complex chemical combinations and reactions involved in metabolism, reproduction, growth, and heredity. May determine the effects of foods, drugs, serums, hormones, and other substances on tissues and vital processes of living organisms. Conduct research dealing with the understanding of human diseases and the improvement of human health. Engage in clinical investigation, research and development, or other related activities. Includes physicians, dentists, public health specialists, pharmacologists, and medical pathologists who primarily conduct research. Any instructional program in the biological and biomedical sciences not listed above. All life scientists not listed separately. A general program of biology at the introductory, basic level or a program in biology or the biological sciences that is undifferentiated as to title or content. Includes instruction in general biology and programs covering a variety of biological specializations. A program that focuses on the application of physics principles to the scientific study of the mechanisms of biological processes and assemblies at all levels of complexity. Includes instruction in research methods and equipment operation and applications to subjects such as bioenergetics, biophysical theory and modeling, electrophysics, membrane biology, channels, receptors and transporters, contractility and muscle function, protein shaping and folding, molecular and supramolecular structures and assemblies, and computational science. A general program that focuses on the scientific study of the composition and behavior of matter, including its micro- and macro-structure, the processes of chemical change, and the theoretical description and laboratory simulation of these phenomena. Conduct qualitative and quantitative chemical analyses or experiments in laboratories for quality or process control or to develop new products or knowledge. Teach courses pertaining to the chemical and physical properties and compositional changes of substances. Work may include instruction in the methods of qualitative and quantitative chemical analysis. Includes both teachers primarily engaged in teaching, and those who do a combination of teaching and research. Plan, direct, or coordinate activities in such fields as electronic data processing, information systems, systems analysis, and computer programming. Conduct research into fundamental computer and information science as theorists, designers, or inventors. Develop solutions to problems in the field of computer hardware and software. Plan, implement, upgrade, or monitor security measures for the protection of computer networks and information. May ensure appropriate security controls are in place that will safeguard digital files and vital electronic infrastructure. May respond to computer security breaches and viruses. Create, modify, and test the code, forms, and script that allow computer applications to run. Work from specifications drawn up by software developers or other individuals. May assist software developers by analyzing user needs and designing software solutions. May develop and write computer programs to store, locate, and retrieve specific documents, data, and information. Develop, create, and modify general computer applications software or specialized utility programs. Analyze user needs and develop software solutions. Design software or customize software for client use with the aim of optimizing operational efficiency. May analyze and design databases within an application area, working individually or coordinating database development as part of a team. May supervise computer programmers. Research, design, develop, and test operating systems-level software, compilers, and network distribution software for medical, industrial, military, communications, aerospace, business, scientific, and general computing applications. Set operational specifications and formulate and analyze software requirements. May design embedded systems software. Apply principles and techniques of computer science, engineering, and mathematical analysis. Design, create, and modify Web sites. Analyze user needs to implement Web site content, graphics, performance, and capacity. May integrate Web sites with other computer applications. May convert written, graphic, audio, and video components to compatible Web formats by using software designed to facilitate the creation of Web and multimedia content. Analyze, test, troubleshoot, and evaluate existing network systems, such as local area network (LAN), wide area network (WAN), and Internet systems or a segment of a network system. Perform network maintenance to ensure networks operate correctly with minimal interruption. All computer occupations not listed separately. Teach courses in computer science. May specialize in a field of computer science, such as the design and function of computers or operations and research analysis. Includes both teachers primarily engaged in teaching and those who do a combination of teaching and research. Any instructional program in engineering not listed above. Plan, direct, or coordinate activities in such fields as architecture and engineering or research and development in these fields. All engineers not listed separately. Teach courses pertaining to the application of physical laws and principles of engineering for the development of machines, materials, instruments, processes, and services. Includes teachers of subjects such as chemical, civil, electrical, industrial, mechanical, mineral, and petroleum engineering. Includes both teachers primarily engaged in teaching and those who do a combination of teaching and research. A program that focuses on the application of biological, chemical, and physical principles to the study of the physical environment and the solution of environmental problems, including subjects such as abating or controlling environmental pollution and degradation; the interaction between human society and the natural environment; and natural resources management. Includes instruction in biology, chemistry, physics, geosciences, climatology, statistics, and mathematical modeling. Conduct research or perform investigation for the purpose of identifying, abating, or eliminating sources of pollutants or hazards that affect either the environment or the health of the population. Using knowledge of various scientific disciplines, may collect, synthesize, study, report, and recommend action based on data derived from measurements or observations of air, food, soil, water, and other sources. Teach courses in environmental science. Includes both teachers primarily engaged in teaching and those who do a combination of teaching and research. A program that focuses on environment-related issues using scientific, social scientific, or humanistic approaches or a combination. Includes instruction in the basic principles of ecology and environmental science and related subjects such as policy, politics, law, economics, social aspects, planning, pollution control, natural resources, and the interactions of human beings and nature. A program that focuses on the scientific study of the earth; the forces acting upon it; and the behavior of the solids, liquids and gases comprising it. Includes instruction in historical geology, geomorphology, and sedimentology, the chemistry of rocks and soils, stratigraphy, mineralogy, petrology, geostatistics, volcanology, glaciology, geophysical principles, and applications to research and industrial problems. Study the composition, structure, and other physical aspects of the Earth. May use geological, physics, and mathematics knowledge in exploration for oil, gas, minerals, or underground water; or in waste disposal, land reclamation, or other environmental problems. May study the Earth's internal composition, atmospheres, oceans, and its magnetic, electrical, and gravitational forces. Includes mineralogists, crystallographers, paleontologists, stratigraphers, geodesists, and seismologists. Research the distribution, circulation, and physical properties of underground and surface waters; and study the form and intensity of precipitation, its rate of infiltration into the soil, movement through the earth, and its return to the ocean and atmosphere. Teach courses in the physical sciences, except chemistry and physics. Includes both teachers primarily engaged in teaching, and those who do a combination of teaching and research. A general program that focuses on the analysis of quantities, magnitudes, forms, and their relationships, using symbolic logic and language. Includes instruction in algebra, calculus, functional analysis, geometry, number theory, logic, topology and other mathematical specializations. Conduct research in fundamental mathematics or in application of mathematical techniques to science, management, and other fields. Solve problems in various fields using mathematical methods. Develop or apply mathematical or statistical theory and methods to collect, organize, interpret, and summarize numerical data to provide usable information. May specialize in fields such as bio-statistics, agricultural statistics, business statistics, or economic statistics. Includes mathematical and survey statisticians. All mathematical scientists not listed separately. Teach courses pertaining to mathematical concepts, statistics, and actuarial science and to the application of original and standardized mathematical techniques in solving specific problems and situations. Includes both teachers primarily engaged in teaching and those who do a combination of teaching and research. A program that focuses on the scientific study of the structure and function of biological macromolecules and the role of molecular constituents and mechanisms in supramolecular assemblies and cells. Includes instruction in such topics as molecular signaling and transduction, regulation of cell growth, enzyme substrates and mechanisms of enzyme action, DNA-protein interaction, and applications to fields such as biotechnology, genetics, cell biology, and physiology. A program that focuses on the interdisciplinary scientific study of the molecular, structural, physiologic, cognitive, and behavioral aspects of the brain and nervous system. Includes instruction in molecular and cellular neuroscience, brain science, anatomy and physiology of the central nervous system, molecular and biochemical bases of information processing, behavioral neuroscience, biology of neuropsychiatric disorders, and applications to the clinical sciences and biomedical engineering. A general program that focuses on the scientific study of matter and energy, and the formulation and testing of the laws governing the behavior of the matter-energy continuum. Includes instruction in classical and modern physics, electricity and magnetism, thermodynamics, mechanics, wave properties, nuclear processes, relativity and quantum theory, quantitative methods, and laboratory methods. Conduct research into physical phenomena, develop theories on the basis of observation and experiments, and devise methods to apply physical laws and theories. Teach courses pertaining to the laws of matter and energy. Includes both teachers primarily engaged in teaching and those who do a combination of teaching and research. A program that prepares individuals for admission or transfer to a baccalaureate-level program in any of the fields of engineering. A program that focuses on the systematic study of human beings, their antecedents and related primates, and their cultural behavior and institutions, in comparative perspective. Includes instruction in biological/physical anthropology, primatology, human paleontology and prehistoric archeology, hominid evolution, anthropological linguistics, ethnography, ethnology, ethnohistory, socio-cultural anthropology, psychological anthropology, research methods, and applications to areas such as medicine, forensic pathology, museum studies, and international affairs. Teach courses in anthropology or archeology. Includes both teachers primarily engaged in teaching and those who do a combination of teaching and research. A program that focuses on the scientific study of the mechanisms and processes of learning and thinking, and associated information encoding, decoding, processing and transmitting systems. Includes instruction in theories of cognition and intelligence; studies of cognitive processes such as memory, sensation, perception, pattern recognition, problem solving, and conceptual thinking; cybernetics; psycholinguistics; and the study of biological and social communications mechanisms and processes. All psychologists not listed separately. Teach courses in psychology, such as child, clinical, and developmental psychology, and psychological counseling. Includes both teachers primarily engaged in teaching and those who do a combination of teaching and research. A program that focuses on the systematic study of mathematical and statistical analysis of economic phenomena and problems. Includes instruction in economic statistics, optimization theory, cost/benefit analysis, price theory, economic modeling, and economic forecasting and evaluation. Conduct research, prepare reports, or formulate plans to address economic problems related to the production and distribution of goods and services or monetary and fiscal policy. May collect and process economic and statistical data using sampling techniques and econometric methods. Teach courses in economics. Includes both teachers primarily engaged in teaching and those who do a combination of teaching and research. A general program that focuses on the systematic study of the production, conservation and allocation of resources in conditions of scarcity, together with the organizational frameworks related to these processes. Includes instruction in economic theory, micro- and macroeconomics, comparative economic systems, money and banking systems, international economics, quantitative analytical methods, and applications to specific industries and public policy issues. Plan, develop, or conduct surveys. May analyze and interpret the meaning of survey data, determine survey objectives, or suggest or test question wording. Includes social scientists who primarily design questionnaires or supervise survey teams. A program that focuses on the analysis and criticism of media institutions and media texts, how people experience and understand media content, and the roles of media in producing and transforming culture. Includes instruction in communications regulation, law, and policy; media history; media aesthetics, interpretation, and criticism; the social and cultural effects of mass media; cultural studies; the economics of media industries; visual and media literacy; and the psychology and behavioral aspects of media messages, interpretation, and utilization. Teach courses in communications, such as organizational communications, public relations, radio/television broadcasting, and journalism. Includes both teachers primarily engaged in teaching and those who do a combination of teaching and research. Collect and analyze facts about newsworthy events by interview, investigation, or observation. Report and write stories for newspaper, news magazine, radio, or television. Plan, coordinate, or edit content of material for publication. May review proposals and drafts for possible publication. Includes technical editors. Originate and prepare written material, such as scripts, stories, advertisements, and other material. A general program that focuses on the systematic study of political institutions and behavior. Includes instruction in political philosophy, political theory, comparative government and politics, political parties and interest groups, public opinion, political research methods, studies of the government and politics of specific countries, and studies of specific political institutions and processes. A general program that focuses on the scientific study of individual and collective behavior, the physical and environmental bases of behavior, and the analysis and treatment of behavior problems and disorders. Includes instruction in the principles of the various subfields of psychology, research methods, and psychological assessment and testing methods. Diagnose and treat mental disorders; learning disabilities; and cognitive, behavioral, and emotional problems, using individual, child, family, and group therapies. May design and implement behavior modification programs. Apply principles of psychology to human resources, administration, management, sales, and marketing problems. Activities may include policy planning; employee testing and selection, training and development; and organizational development and analysis. May work with management to organize the work setting to improve worker productivity. A program that focuses on the systematic study of human social institutions and social relationships. Includes instruction in social theory, sociological research methods, social organization and structure, social stratification and hierarchies, dynamics of social change, family structures, social deviance and control, and applications to the study of specific social groups, social institutions, and social problems. Study human society and social behavior by examining the groups and social institutions that people form, as well as various social, religious, political, and business organizations. May study the behavior and interaction of groups, trace their origin and growth, and analyze the influence of group activities on individual members. Teach courses in sociology. Includes both teachers primarily engaged in teaching and those who do a combination of teaching and research. 100% of students graduated in the top half of their class. 96% of students graduated in the top quarter of their class. 70% of students graduated in the top tenth of their class. The average student pays $28,181 for tuition, fees, and other expenses, after grants and scholarships. Total stated tuition is $45,350, in-state and on-campus, before financial aid. 52% of students receive some form of financial aid. 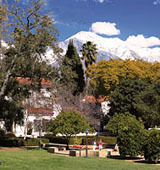 Learn more about financial aid at http://www.scrippscollege.edu/financial-aid/index.php. Estimate the net price for you at http://admission.scrippscollege.edu/net-price-calculator. 80% of students graduated on time. 84% of students graduated in six years. 93% of full time students continued studying at this school after freshman year. Want more info about Scripps College? Get free advice from education experts and Noodle community members. What are the largest benefits and drawbacks of an all female college? How are race relations at Scripps? What are activities Scripps does for new students to make them feel part of the Scripps community? How's the food at Scripps? What is the dorm life like at Scripps College? This site may prove very helpful in lieu of personal stories and experiences with dorm life at Scripps College. It gives great descriptions of choices and features. The dorms seem quite lovely. To Scripps Alums, what made you want to go to Scripps? How does the Scripps Claremont Consortium benefit Scripps students? Do they tend to make good use of it?